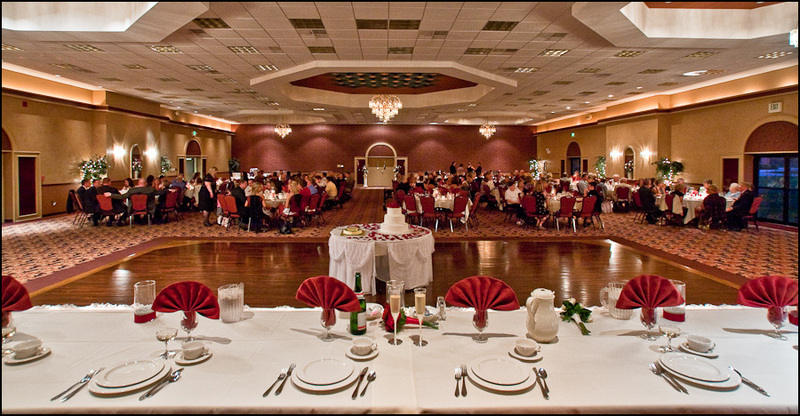 This image is a 180 degree panorama that I made a few years ago at a wedding. To really get the effect, you have to make a print about 24 inches wide, bend it into a ‘U’ and view it real close to your face so the the ends are at the edges of your peripheral vision. It’s a neat effect. 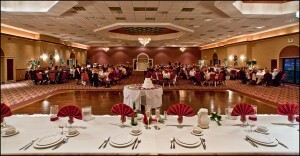 I like to photograph the Reception Hall before guests get in, but sometimes it just doesn’t work out. But by using a wide angle of view and with the guests far away and in the darker area of the room, I was able to get this nice overall view. We finished taking portraits of the Bride, Groom, Wedding Party and families and were getting ready to head out for the reception. I let the Bride and Groom get ahead of me and captured a few candid moments including the Bride checking out something about her dress.